World-famous climbing on the cracks at Indian Creek. Jesse Weber. We’re about to venture into another climbing season! Typically, spring is the most popular time to climb in the alpine. The snow is still abundant, temperatures are somewhat warmer, and weather conditions are starting to become dryer and more predictable. These are all very good reasons to be on summits. 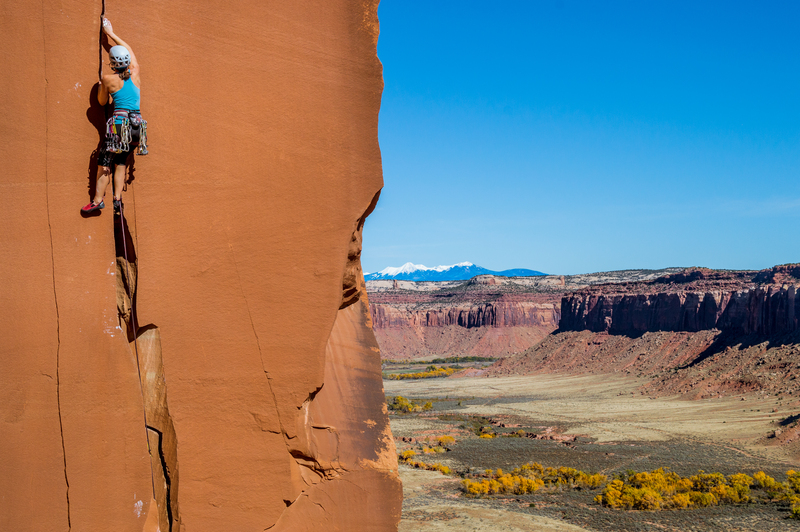 But mountaineering isn't just about glacier climbs and summits, it also encompasses rock climbing's various disciplines—trad, sport, and bouldering—and there's no better time to get motivated for the rock climbing season ahead than the start of spring. All of us in the outdoor community know that mountaineering and climbing are inherently dangerous. Volunteering on a mountain rescue team, I have experienced these dangers firsthand. But that’s not a reason not to climb. On the contrary, it should encourage one to seek knowledge and develop skills necessary to tick off a classic route or bag a high peak. Obtaining these necessary proficiencies is paramount before embarking on such an adventure. Most of us don’t want to author our own epic. It is easy to become a knowledgeable and skilled mountaineer with the available live classes and tutorials in each of our mountain communities. Then there’s also the traditional method of simply finding a mentor. Mountaineering requires a fine balance between calculated risk and survival instinct. It’s not human instinct to purposefully put oneself in harm. Every time we leave the perceived safety of our vehicles or tents in the middle of the night to set out on crunchy, steep snow above the trees or on a vertical rock face, we are taking a risk. But it’s worth it. It’s an incomparable feeling to exist above the floor of the earth, on a rock wall, or above an inversion layer as the sun rises and ignites the clouds. To watch the summit’s shadow fall below the western horizon as the sun climbs higher. To be tied to nothing but a rope ascending with each jam of your hand into that splitter crack, or out of earshot of your partners knowing only what your headlamp reveals, forming a rhythm with the spike of your ax and the purchase of your crampons as you take each step. A feeling impossible to match, pure elation reaching the summit or top of a route you’ve tried so hard to get to. You don’t have to be a professional, sponsored, ridiculously ripped athlete to be a climber. You just need to know what you’re doing. So, be smart, safe, and considerate in the mountains. We hope you get inspired by 12 Months of Adventure and are able to take on some new adventures this year. Don't forget to let us know about your spring photo adventures by tagging your photos #12MonthsofAdventure on Instagram and by adding a comment/photos in the comments section below. Happy trails!